Musings from Work, Life, & more..: Hi-Fi(WiFi) days ahead!!! WiFi has become very popular now a days, most of us use it at home, office, hotels and also at most public places like airports, stations where we can connect to public hotspots. It is built into most devices like mobile devices, laptops, tablets, etc. It wouldn't be too much to say that, if you haven't used a WiFi connection yet, then you are in minority. A non-profit organization Wi-Fi Alliance, formed by a worldwide network of companies defines standards for interoperability of Wi-Fi device and promote the technology. WiFi or Wireless networking is based on the IEEE 802.11 standards. Starting with our smart phones, laptops, more and more devices are now coming up with WiFi capabilities, and with the arrival of IoT(Internet Of Things) we can expect more varieties of WiFi devices in near future. Experts estimate approximately 20 billion WiFi devices by 2017. 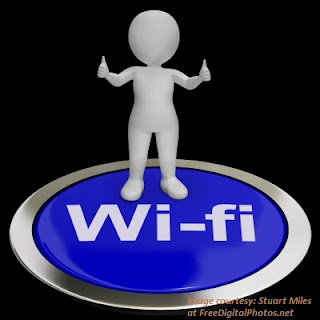 One of the biggest advantage of WiFi is it is wireless just like our cell phone connection but WiFi comes with a better data speed and easy to set-up or connect. Connecting to a WiFi network would usually require a SSID password to be provided whenever a new SSID is encountered. This was causing a major hindrance to the wide acceptance of WiFi, unlike the cell phone service where a password is not required when roaming. Now with the release of Hotspot 2.0(HS2) based on the IEEE 802.11u standard, a device can automatically connect to a WiFi network. The device is authenticated to the WiFi Access Point(AP) using credentials such as username/password, X.509 certificate with no intervention from the human user. This is very much like we connect to a mobile carrier’s 3G of 4G network while roaming and use services as if we are in our home network. 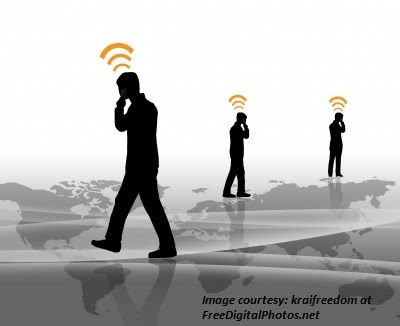 If a device is subscribed to a WiFi Hotspot 2.0 service with roaming agreement in place, then it will allow users to securely roam on a WiFi network, and with so many OTT(over-the-top) players like Skype or other VoIP services we might not even need a cellular connection to make a long distance call or chat. Most cable MSOs(Multiple-System operators), Fixed-Line broadband service operators and others are trying to cash in on this huge revenue generating opportunity and might be cutting into mobile network operators(MNOs) customer base already. 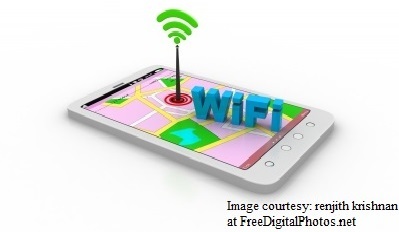 With the help of Wi-Fi Alliance's Hotspot 2.0 and other technology programs these operators are coming up with carrier WiFi services trying to make WiFi ubiquitous. Estimated approximately 50 million WiFi hotspots already deployed across the world, and we are going to see more deployments sooner than later. 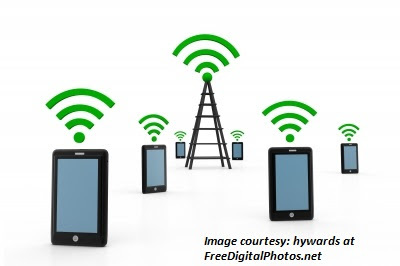 WiFi gives a good opportunity for these players as it is an unlicensed spectrum, almost all mobile devices have WiFi capability and also more than 90% of tablets are shipped with WiFi only connection. Most devices going ahead will also support WiFi calling, for e.g. Apple iPhone 6 already supports Wi-Fi calling as well as voice over LTE (VoLTE). Taking advantage of their existing network, cable MSO's have started to deploy public WiFi network with HS2 technology. Google is already working on building a large-scale WiFi network with devices from Ruckus Wireless. Cable MSOs and fixed-line operators are going to allow service or network sharing with MNOs or themselves for their customers which would allow an user to connect where Wi-Fi Access Points(AP) isn't available. Several big MSO already announced sharing Wi-Fi network under a new alliance called "CableWiFi", which would allow users access to Wi-Fi outside their home network. With the same Wi-Fi network available at home and outside, this is going to give users a really good alternative to cellular service and with an excellent customer experience.